Chase Elliott will race the full 2014 NASCAR Nationwide Series season for JR Motorsports the team announced in an emailed press release Monday. Elliott is the son of NASCAR Cup champion Bill Elliott. 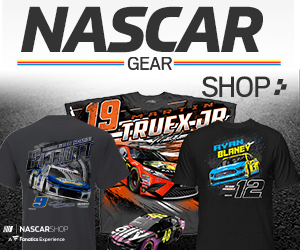 Sponsorship will come from NAPA Auto Parts whose headquarters in Atlanta, Ga., is just a short distance from Elliott’s hometown of Dawsonville, Ga. The Georgia Racing Hall of Fame named Elliott its 2013 Driver of the Year after winning the All-American 400 at historic Nashville Fairgrounds and becoming the first driver to win all four super late model majors. Elliott was signed by Hendrick Motorsports owner and JR Motorsports partner Rick Hendrick in 2011. He scored his first NASCAR K&N Series win at Iowa Speedway on May 19, 2012, and became the youngest superspeedway winner in ARCA history at Pocono Raceway on June 8, 2013. His splash into the NASCAR Camping World Truck Series reset the record books. He became, at the time, the youngest winner in series history in only his sixth start – Sept. 1, 2013, at Canadian Tire Motorsports Park.